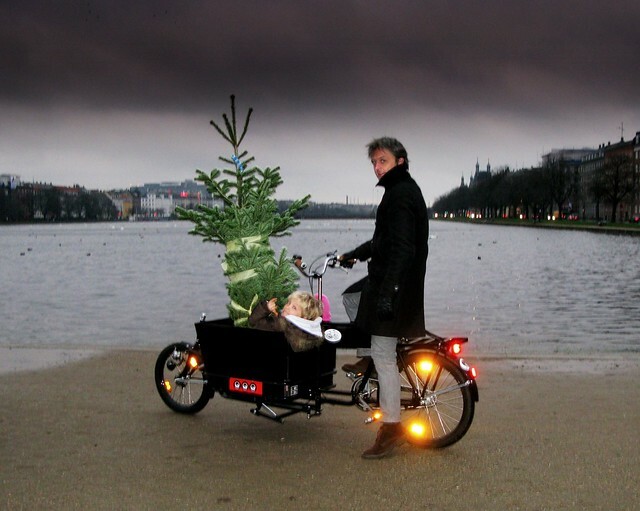 Cycle Chic®: Happy Christmas from Cycle Chic! 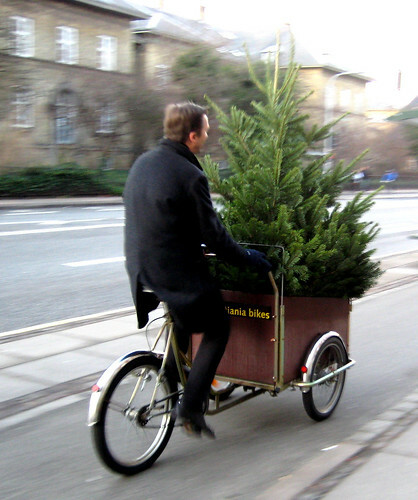 Happy Christmas from Cycle Chic! 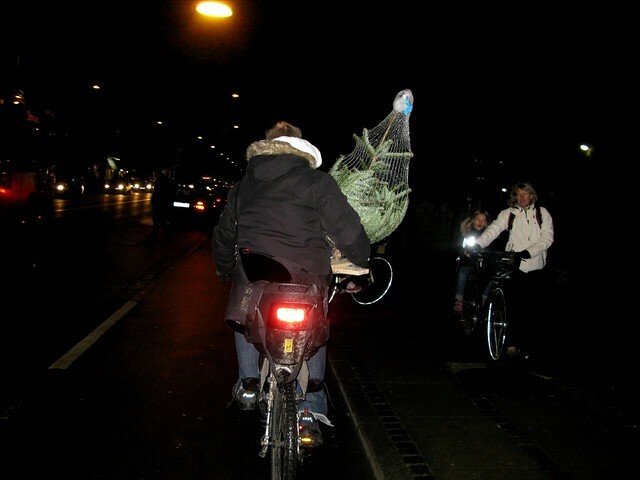 All of us here at Cycle Chic wish all of you a lovely holiday season! Thanks so much for making the site a part of your day. 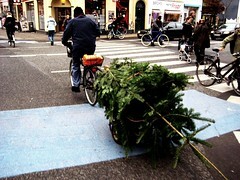 What's more apprpropriate than photos of transporting christmas trees by bicycle in the City of Cyclists?! Here's me and the kids last year. 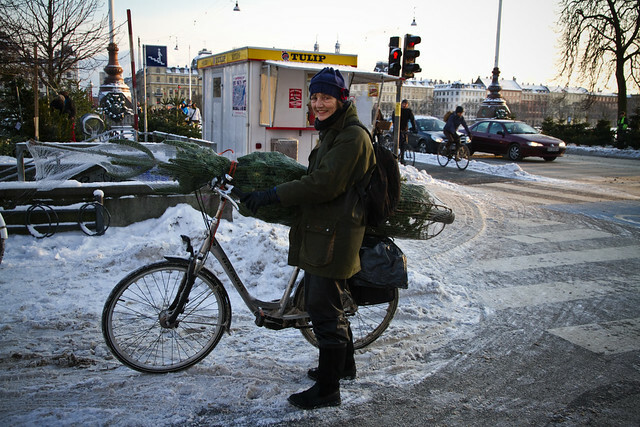 Read more about this lady over at Copenhagenize.com. Good yule and warm greetings to you too. (There was 2 pair of bicycle weels in that sentence. 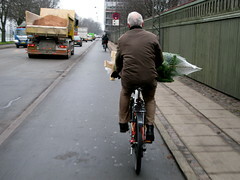 Love the holiday spirit via bicycle!